Isis Oasis was originally the home of the Bahai School for 70 years, and later was owned by John Muir’s granddaughter. In the center of the property, is a 600+ year old Russian Fir tree, which the famous arborist Luther Burbank marveled at. Hundreds of happy weddings have taken place over the years under this incredible tree. We often have the happy couples return after a decade or two to pay a visit to the place of their union. Isis Oasis Sanctuary itself was founded in 1978, by Loreon Vigne. Before that time Loreon was a successful artist and business owner, with two locations in San Francisco, specializing in enamels and stain glass. Noir Gallery was located in North Beach, and the Paint Pot was a second location that sold art supplies, etc., to the city’s creative movement. She had a collection of exotic Ocelots at her home on Isis Street, but when regulations against owning exotic cats within the city and county limits were imposed, Loreon moved to the countryside to provide a new home for her cats. 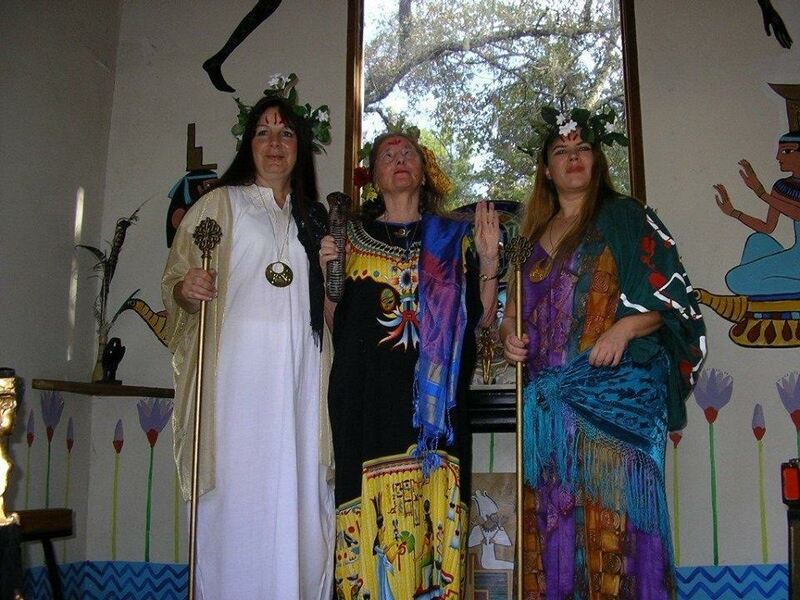 Her inspiration and work with the Goddess Isis led her to transform the Geyserville property we know and love today, into an Egyptian themed retreat center. Much of the artistry and beautiful stain glass decorating the buildings are her work. She built enclosures for her cats and exotic birds, and as she took on rescue animals little by little, the animal sanctuary was born. Out of this vision also came the Temple of Isis, which she took over as a 501(c)3 charity and Church in the 80s, following her Goddess path, including and welcoming visitors of all faiths and backgrounds. Groups began using the space for retreats, workshops, weddings, concerts, and a myriad of other activities. 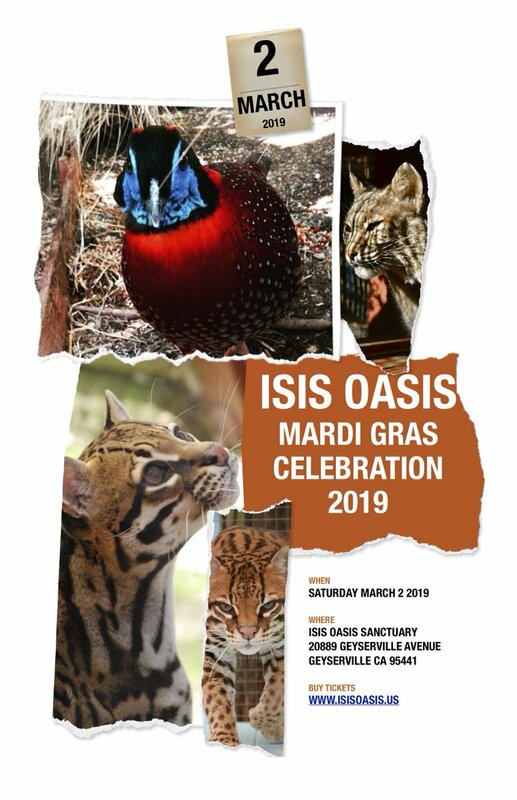 Now, over three decades later, Isis Oasis has provided for thousands of people a positive, magical, and memorable experience. Sadly, in July of 2014, Loreon Vigne passed away, leaving the Sanctuary and its property and grounds to the Temple of Isis, under the care of Board Member deTraci Regula as the new Executive Director. With the help of our work/trade volunteers and the generous support of donors, we are still going strong today, honoring her legacy, memory, and vision. Isis Oasis is expanding and upgrading it’s programs and services to meet the dawn of a new era. We lead guided tours of the cats, birds, and vivarium on the property for adults and children, groups of schools, and wedding parties, creating awareness for endangered species and deforestation. We partner with local businesses, wineries, community events and leaders, and we welcome the opportunity to serve your needs and connect with you. No other bohemian landscape or synergy exists like Isis Oasis, and our special personalized service makes our guests very happy. Drop in for a visit! We’d love to meet you.